Figure drawing event, Sketchbook (iPad and Paper53) look. I brought an iPad to the bi-monthly Alpharetta Figure Drawing/Painting Group. The Group brought in Scott to pose he’s the first male model in a long time and it’s the first time using my iPad at a life drawing event. Tonights sketches all posted below. We started, like most sessions, with one Minute poses. I took a minutes to make a quick pallet. As the night went on i added a pink and yellow. Big fills with ‘Roller’ tool. I’m using #Paper53 to do the drawings. The ‘Roller’ tool is my favorite! Still just doing one minute drawings I feel a bit clumsy with the iPad, new media is always funny at first. Scott is throwing down great one min poses. Nope, jump to a new page. Better, this is the last one minute figure drawing. 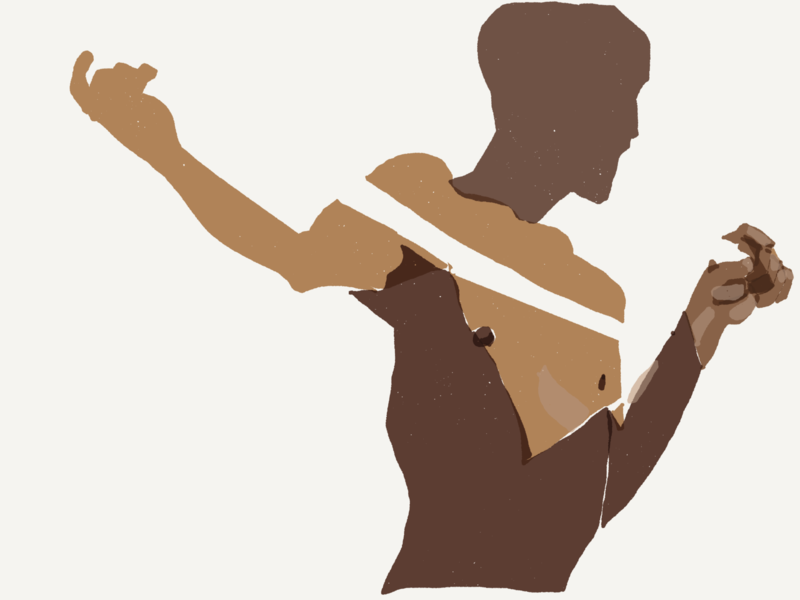 Ok five minute figure drawing are flowing better. I and able to break out shapes and show some structure. More of Scott as captured by Alex Feliciano and his magic tablet. Getting a bit easier now. More colors added to the pallet. Nice hands in this one. Hard pose, I was really trying to capture tention might go back and rework this at a later time. Now we venture into the 10 minute poses. Hello Detail, can this thing do it? 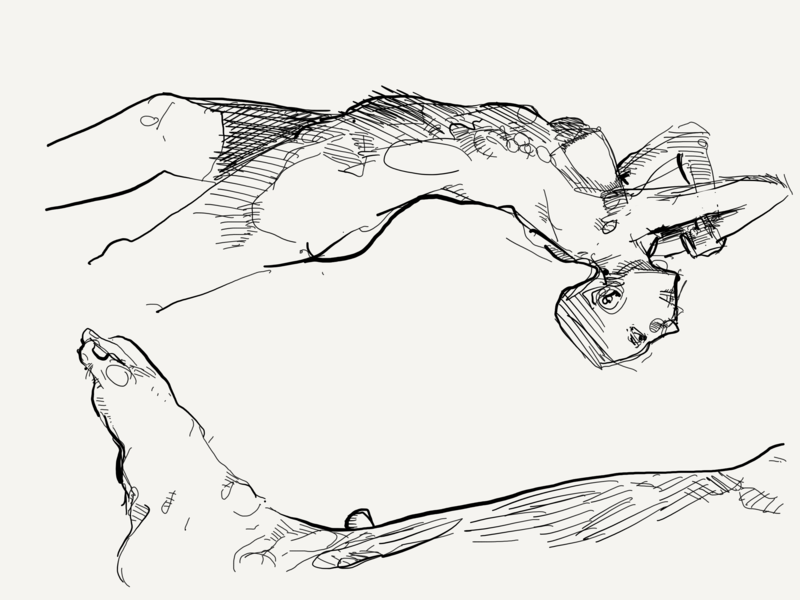 Yes it can, Another 10 minute figure draw by Alex Feliciano with Paper 53. 10 minutes adding yellow to the pallet. Fingers, nope, next page please. Fingers, Better, figure drawing of Scott with pole extension. P.S. Scott has a light beard and because I don’t get many dudes modeling for me and none with beards I’m like WTF. 20 Minutes, I’m switching to a pencil tool on the iPad. And the last figure drawing of the night, 20 minutes, Thank you Scott.